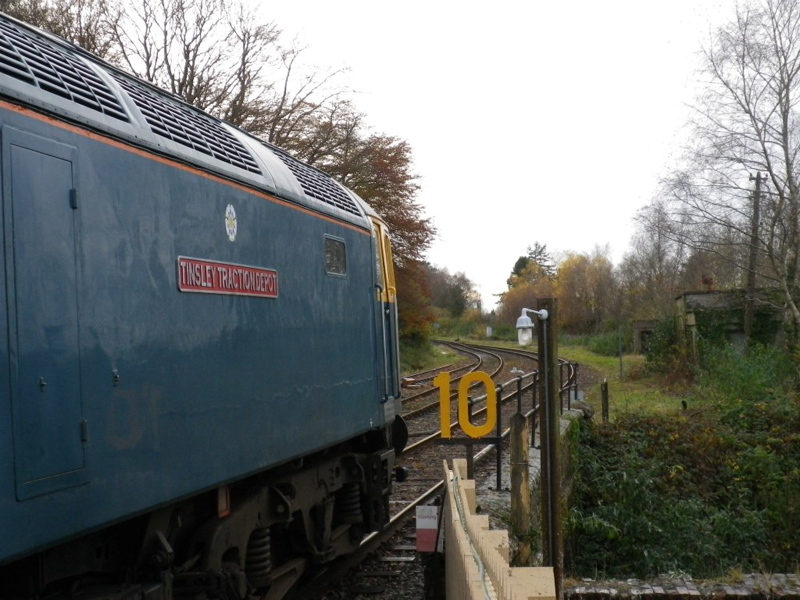 After sterling service throughout the 2014 season, time has caught up with our DEMU 1132 "Thumper" (or class 205 205032) and it has been retired for a while for a programme of mechanical and body work. 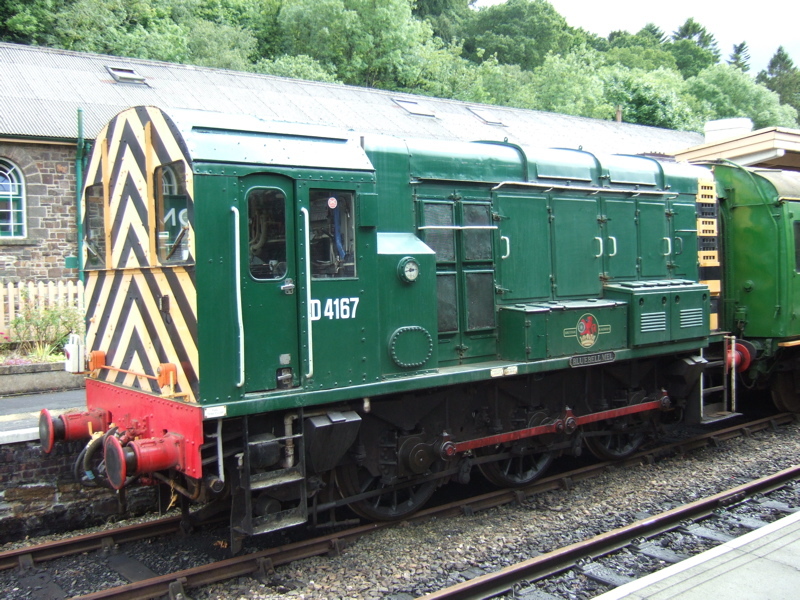 Meanwhile our class 08 shunter 08937 is being repainted, and now sports its pre-TOPS number D4167 on both sides. 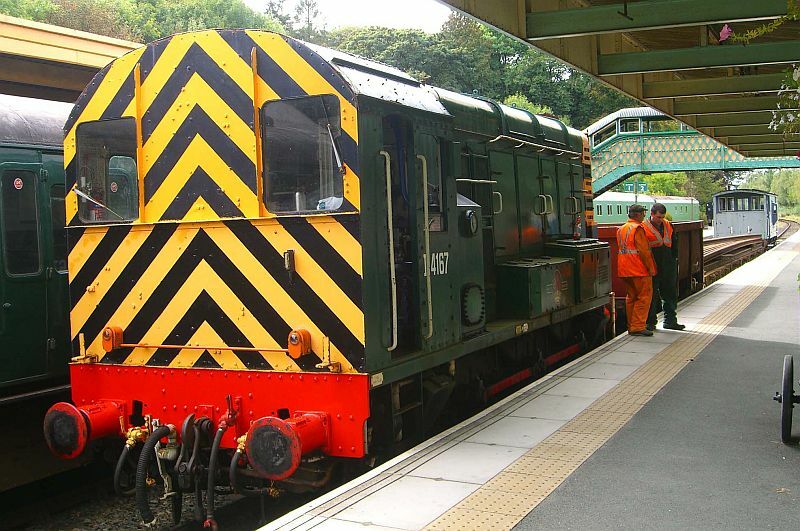 It sees regular service on engineering trains. 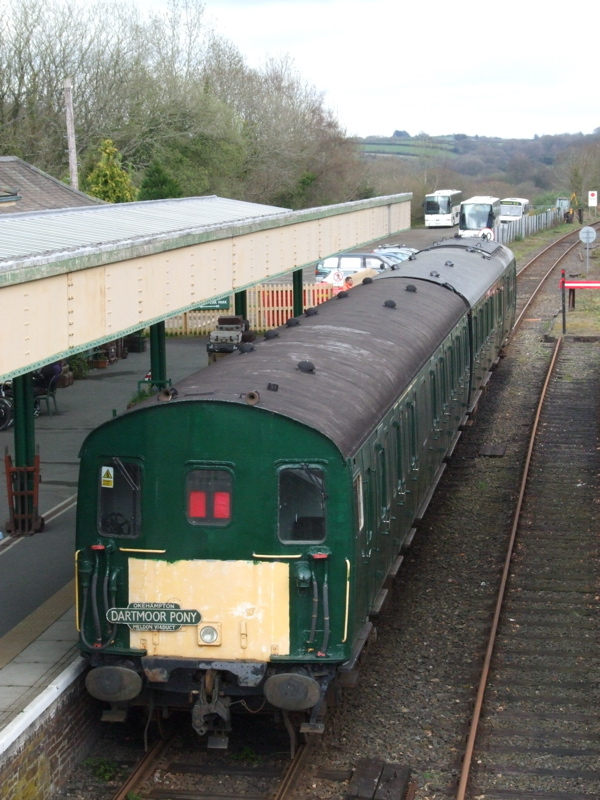 It's acquired an Exmouth Junction shedplate - not strictly authentic but appropriate to a locomotive based at Okehampton. 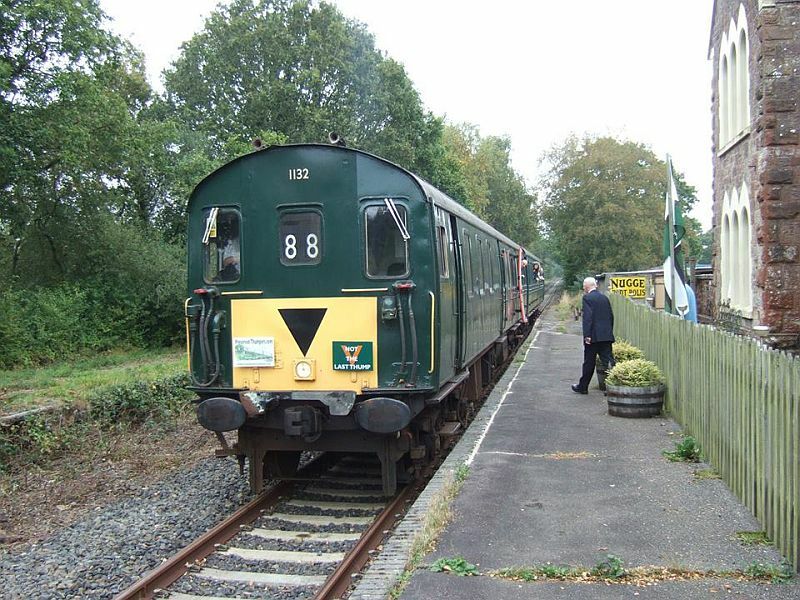 Both coaches of our resident Class 205 Diesel Electric Multiple Unit (otherwise known as "Thumper") have been turned to equalise wheel wear. This was accomplished by using a low loader. 47 375 worked the Polar Express services with 31 452. 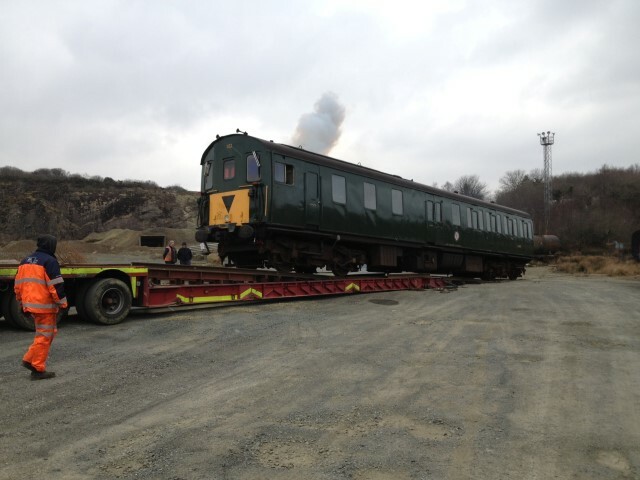 Our "Thumper" DEMU 1132 is undergoing repair at the present, and we hope it will be able to re-enter service at Easter 2013. Our resident 08, now has numbers.